UMAG, July 28, 2014 - Pablo Cuevas of Uruguay returns the ball to Tommy Robredo of Spain during final match of the 25th Vegeta Croatia Open Umag ATP Tournament in Umag, Croatia, July 27, 2014. Pablo Cuevas won 2-0. 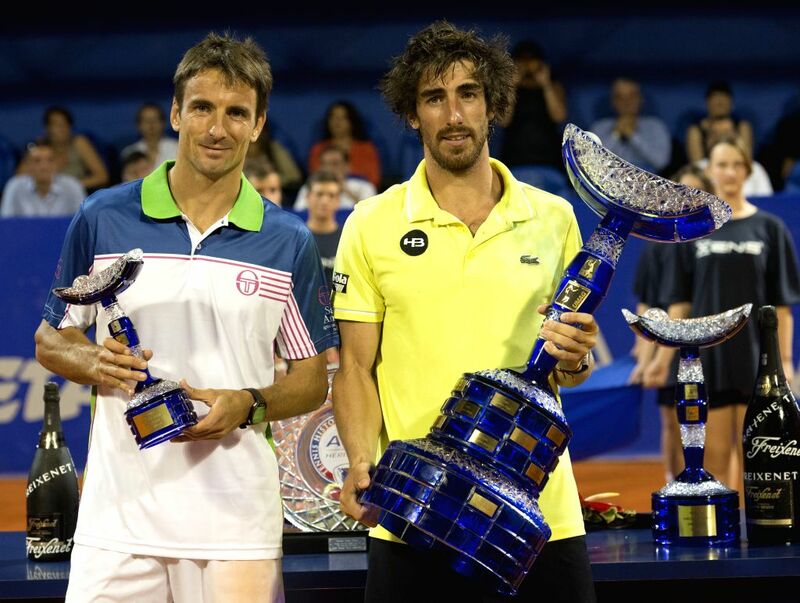 Pablo Cuevas of Uruguay (R) and Tommy Robredo of Spain pose with their trophies during awarding ceremony of the 25th Vegeta Croatia Open Umag ATP Tournament in Umag, Croatia, July 27, 2014. 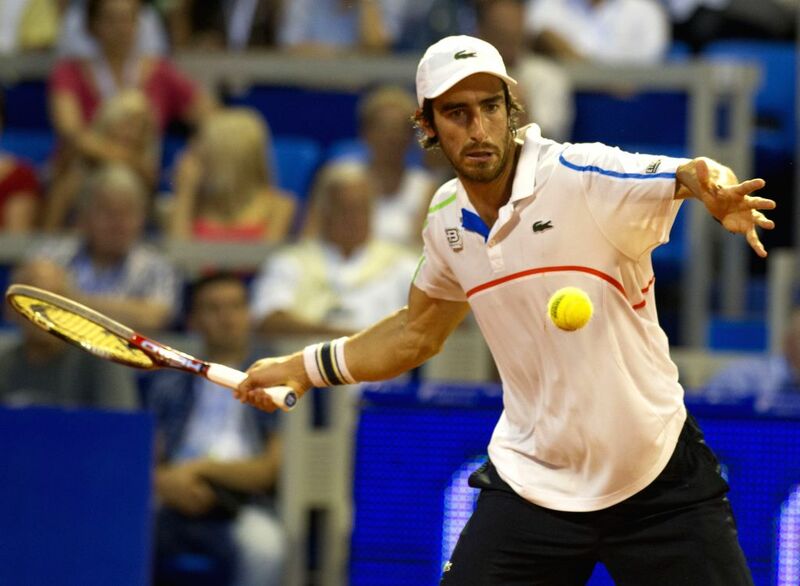 Pablo Cuevas won 2-0.